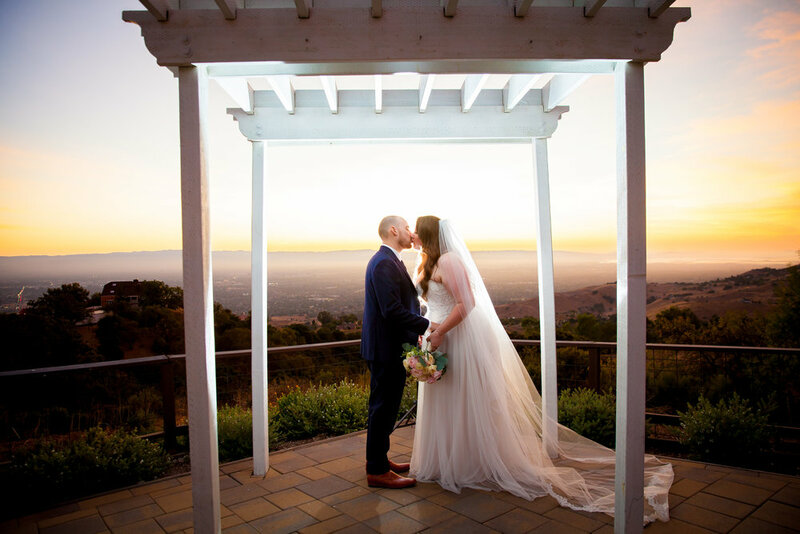 Kelly and Devin's Beautiful Grandview Restaurant Wedding! Hi All!! 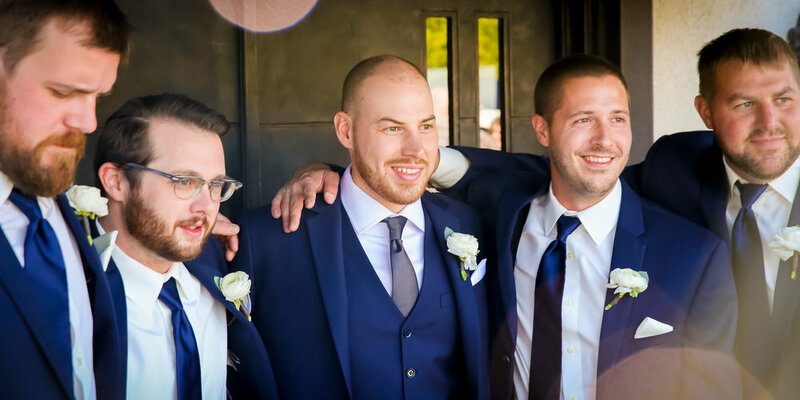 Thanks for taking a look at this beautiful wedding of Kelly and Devin's. What a BEAUTIFUL day it was, and an amazing celebration! Kelly and Devin's family are all from the Midwest (Wisconsin) so it was a small wedding full of people traveling from all over to celebrate these two. Kelly and Devin IMPRESS me so much!! They have been dating for many many years, (TWO of which when Devin was living in CHINA), and they obviously love each other so much. 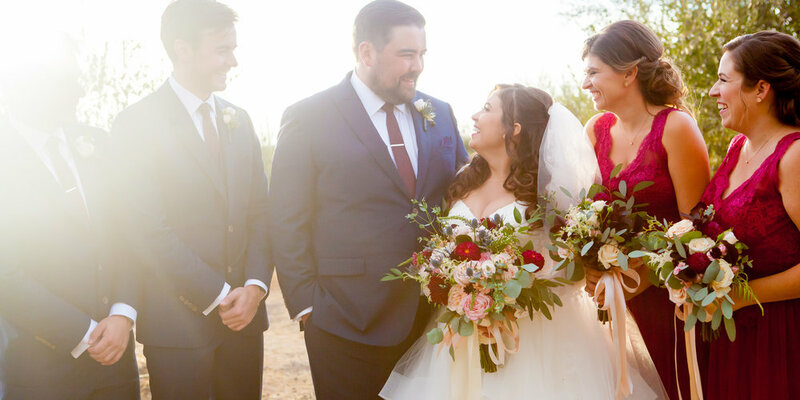 It brought tears to my eyes to see these two married, their hearts are pure gold and their families and friends are supportive, loving, and SO fun!! Look below to see the PARTY!! 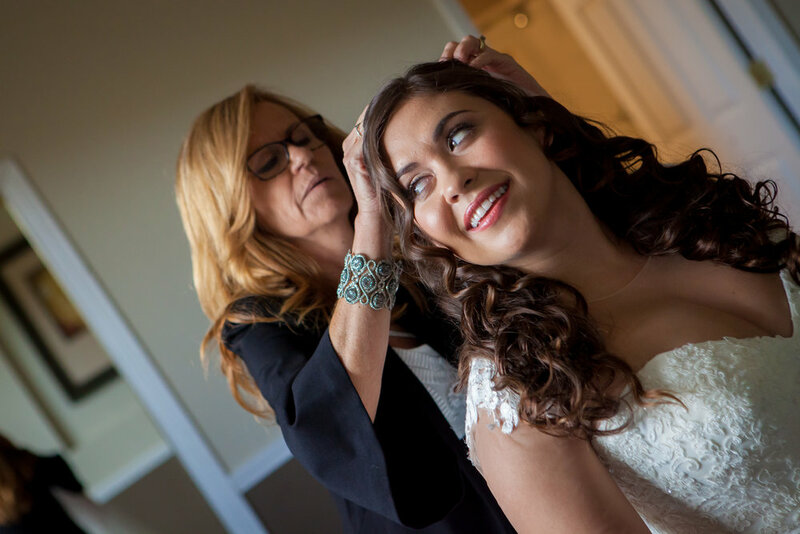 Anais and Froilan's Fabulous Saratoga Springs Wedding! Hi out there!! 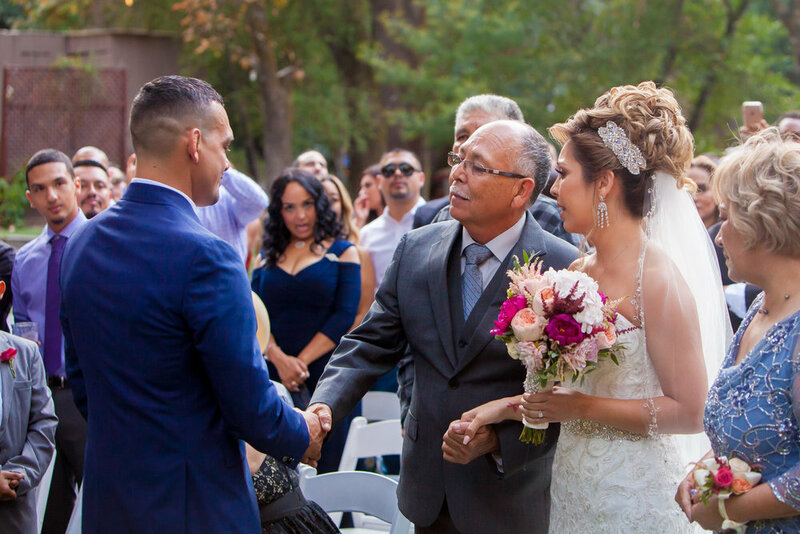 This is Froilan and Anais' beautiful wedding at Saratoga Springs. 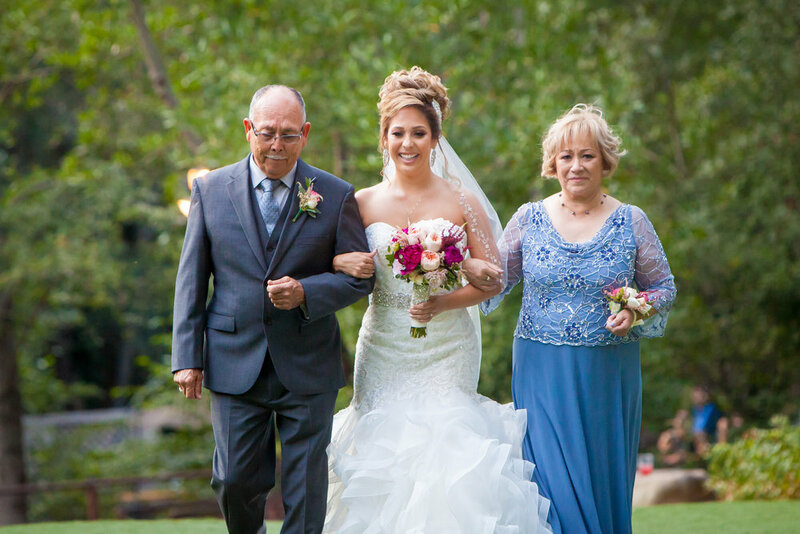 It was honestly the PERFECT day, and I just love how everything all came together for them! Of course, it was a huge party, and everyone had a blast (even I danced a little bit!! ), but nothing could overshadow these two and their love. 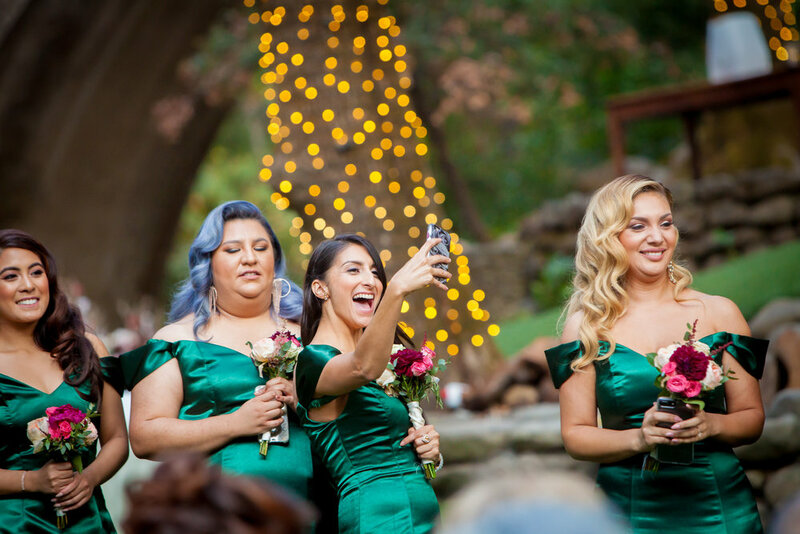 Anais was GLOWING the entire day, and there was such a sweet atmosphere of celebration throughout it all. Enjoy these photos! If I could share ALL the photos from this day, I absolutely would!! Everything about it was beautiful. Stephanie and Chris are Married! Hi All! 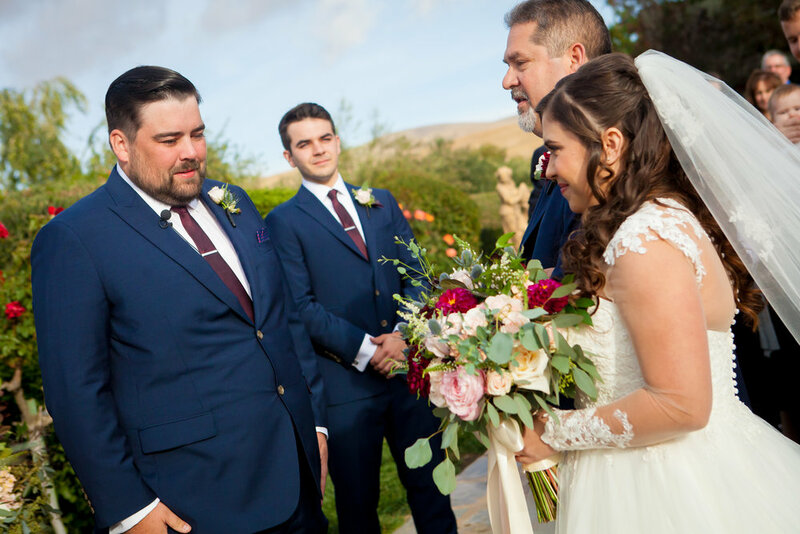 This wedding was SO hard to blog, because there are a HUGE number of pictures I would love to share with you all! Chris and Stephanie's wedding was absolutely beautiful, and SUCH a party. Please enjoy these wonderful photos, and I hope they give you a sense of what their big day was like! Romantic, FUN, and deeply emotional. I enjoyed everything about this wedding! Alex and Angela are Married! Hi Wonderful People!! WOW, it has been WAY too long since I have blogged!! 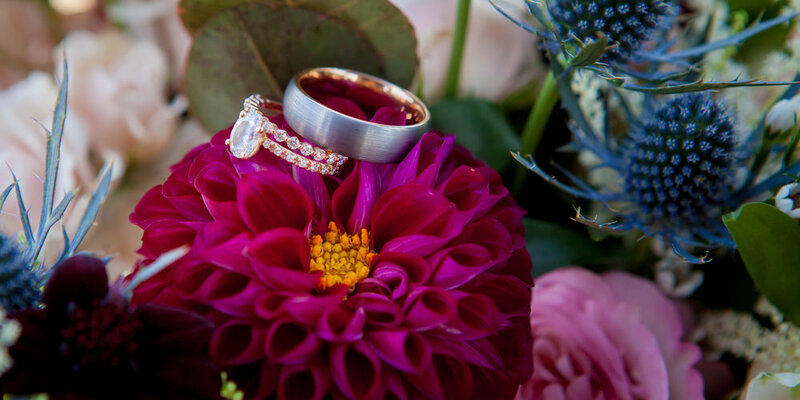 I am SO sorry to keep you out of the loop of what is happening at Lora Mae Photography. We had SUCH a great season, I was super busy shooting weddings, babies, families, you name it! I am also chasing around a 1 year old AND expecting my second child any day now, so it was QUITE the 2016 season! 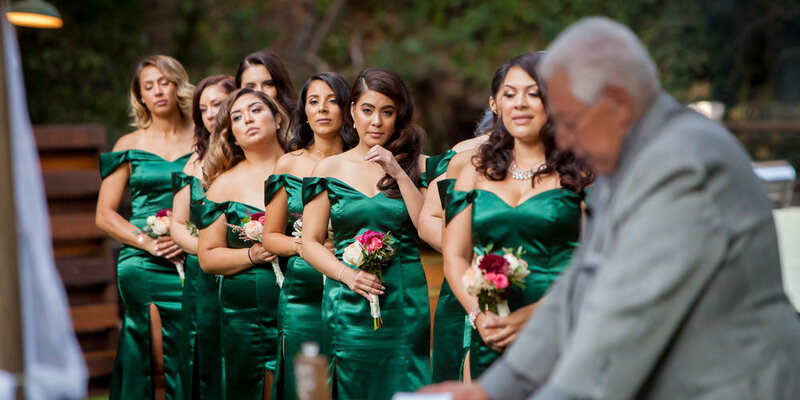 This wedding was nothing short of MAGICAL. 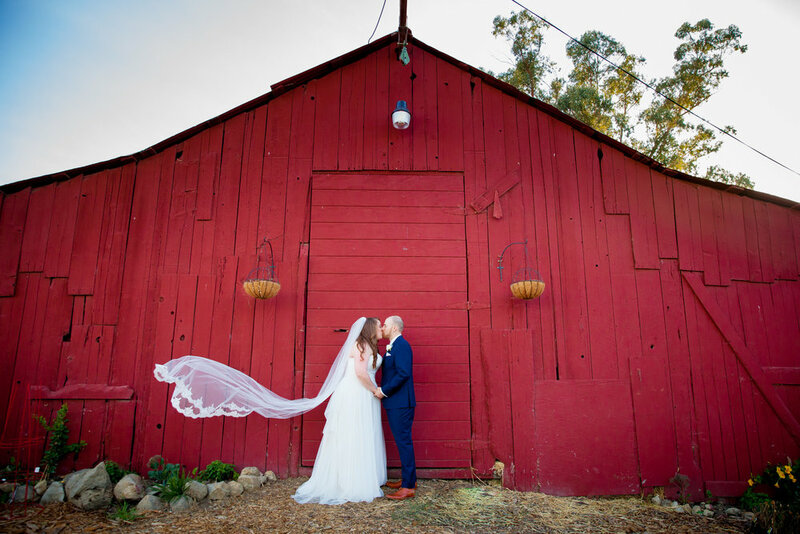 Alex and Angela got married at the fabulous Sand Rock Farm in Aptos, CA, which is the PERFECT venue (seriously). 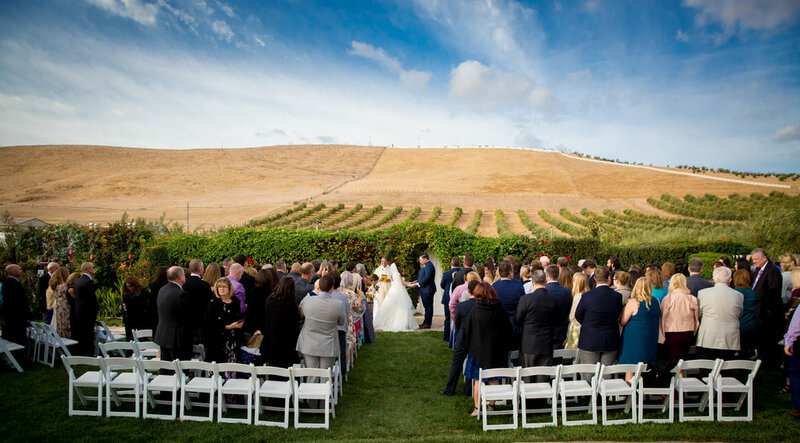 The weather, setting, bride, groom, bridal party, family and friends....EVERYTHING was just amazing. Alex and Angela shed just a few tears (maybe more than a few) as they declared their commitment and love for each other. And, not gonna lie, I definitely shed a tear also. I LOVE weddings!!! 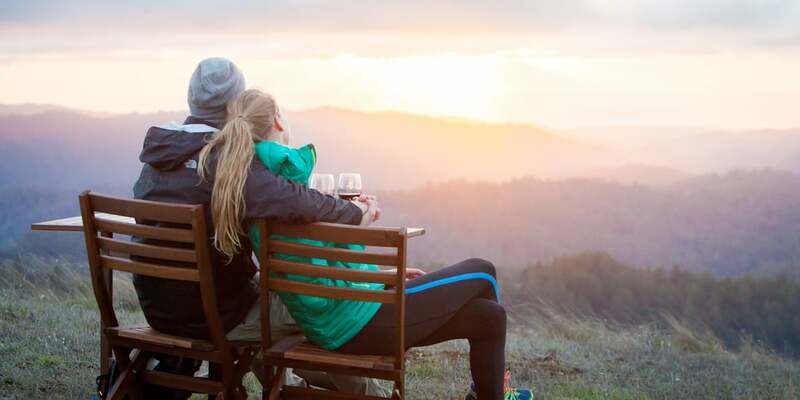 Take a peak at their day below...and try not to be jealous of how amazing it was! Clair and Chris are Engaged! Hi there! This one is a little late I'm afraid, I've already photographed their WEDDING just a few days ago!! BUT, I love these photos and I want to share them with you all. Chris and Clair are so fun and laid back. When Clair asked if she could bring her 1 year old daughter Eleanor to the engagement shoot, I was like, YES!! It automatically changes things up when you have a little baby girl tagging along for the shoot, but honestly, Eli did SO freaking well, and we got some incredible photos of her with her parents! 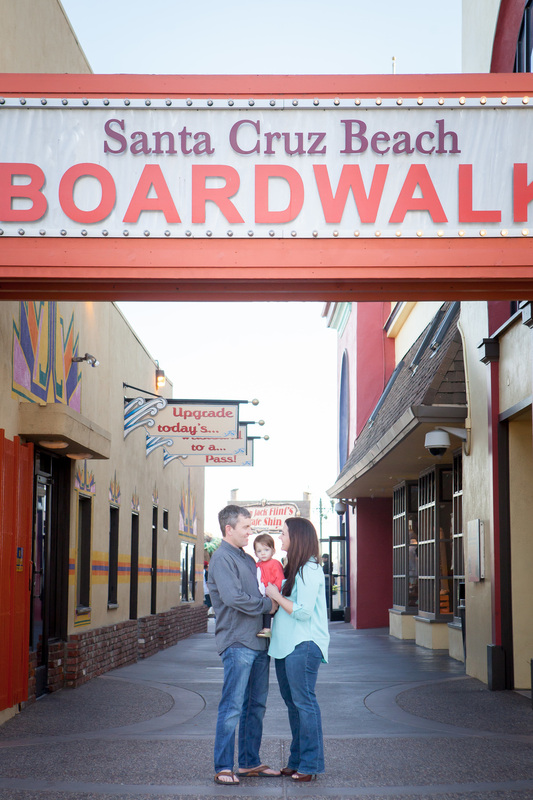 We had a fabulous time at the Beach Boardwalk in Santa Cruz (I know, that's where all of my shoots have been happening lately!). It was sunny, beautiful weather, and there were TOOONS of people there. It was a blast!! Thanks for taking a look at this Engagement/Family shoot, it warms my heart to see these pictures and this family definitely has a special place amongst my clients. LOVE them!! Enjoy the photos! Had so much fun, Congrats Clair and Chris!! Sara and Chris are Engaged! HI Everyone! I've been totally remiss in updating my blog, but here is a sweet engagement shoot for a wonderful couple. Their wedding is coming up so soon, I remembered I hadn't even posted their engagement photos and I really wanted to because we got some amazing shots! We were in the woods surrounding UC Santa Cruz, and also on Lighthouse field over by the Beach Boardwalk in Santa Cruz. It was a WONDERFUL time, we got some beautiful light, and Sara and Chris are the cutest, so, THAT HELPS!! Thanks for checking these out, can't wait to post photos of their beautiful WEDDING! Jeff and Robin are Married! Hi Everyone! 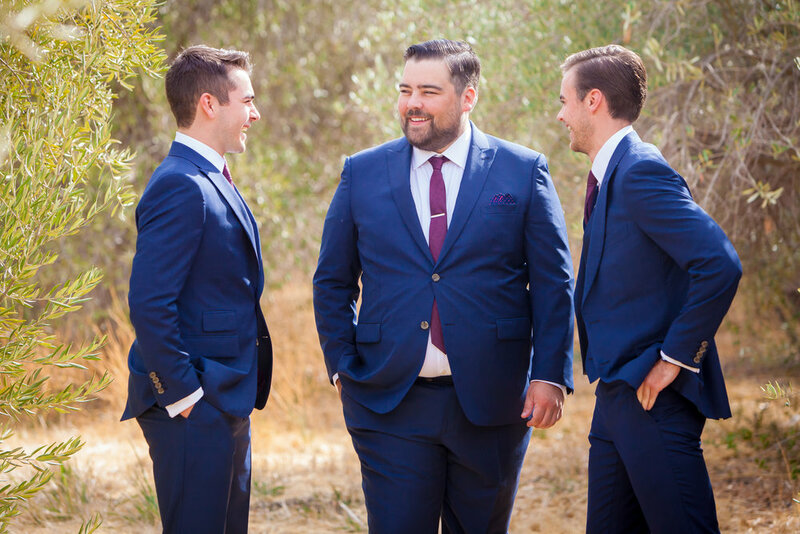 Welcome to Jeff and Robin's wedding day blog!! 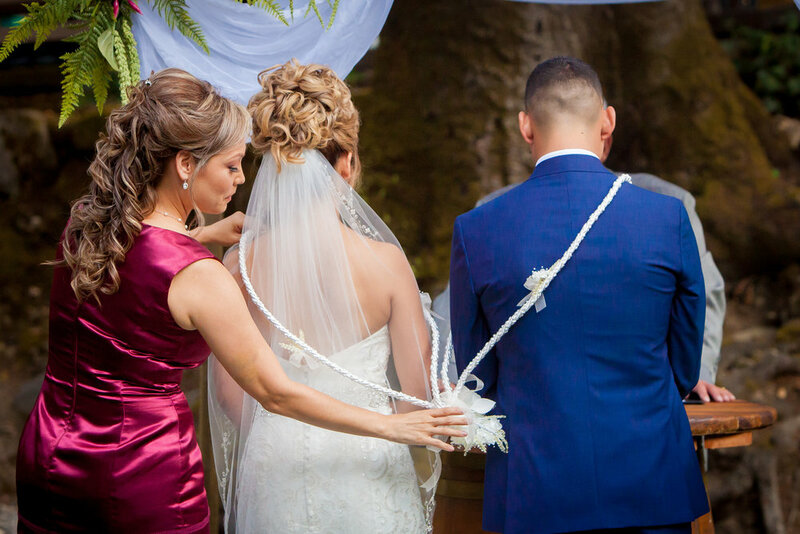 This lovely mid-day wedding was located at the Ravenswood Historic Site in Livermore, CA. SUCH a beautiful venue! 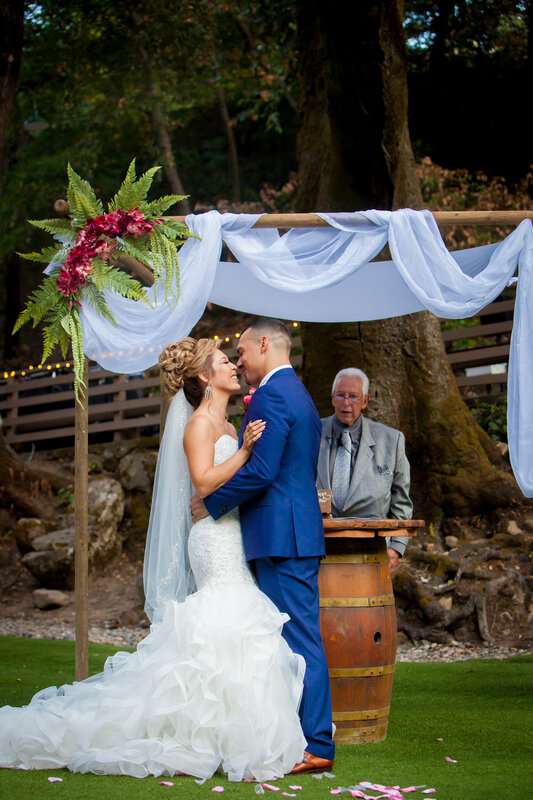 Old houses, a vineyard in front, loooovely trees, and the cutest little gazebo EVER to get married under. Jeff and Robin are two wonderfully special people. The night Jeff was planning on proposing, he took Robin to a fancy restaurant, but for some reason there was a hitch (I forget why!!!) and they ended up sitting in the bar area of this restaurant instead of at a nice table like Jeff had planned. Did that deter Jeff?? NO WAY!!! He was ALL IN, still planning on proposing, no matter where it was. NEEDLESS to say, Jeff proposed in that cute little bar area, (oh and did I mention he proposed on Valentine's Day? ), Robin accepted, and they started planning the cutest wedding ever. A wonderful MORNING wedding, with the perfect amount of family and friends to help celebrate. 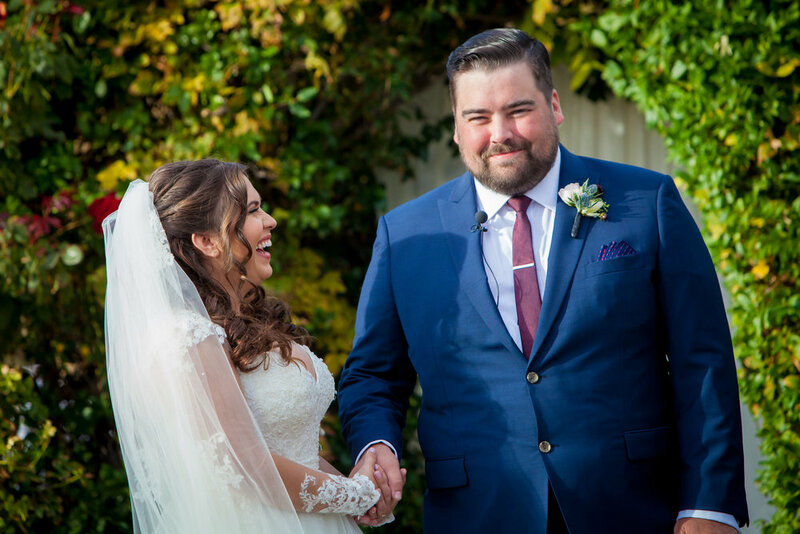 The biggest highlight for me: seeing the HUGE smiles on Jeff and Robin's faces when they were finally declared husband and wife, and walking down the aisle! Honestly, it totally hit me straight in the heart, and I'll NEVER forget the looks on their faces. SOOO much happiness, joy, love, and all the excitement of starting a new season of life together. (You can see a picture of what I'm talking about below). THANK YOU Robin and Jeff for letting me be a part of this wonderful celebration! You two are AWESOME!! Congratulations you guys!! 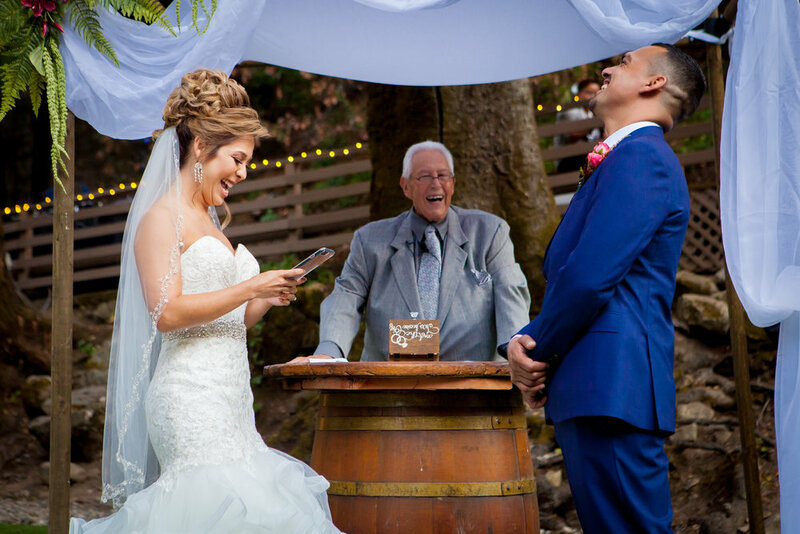 Click "Like" below, or leave a comment for the wonderful couple! Sarah and Brian are Married! Other highlights of the day for me: Brian's daughter being a part of the ceremony (and looking like a beautiful little fairy), Sarah's FANTASTIC shoes (see below), the groomsmen gifts (so classy, and it has their name on it?? ), the amazing floral arrangements on the tables, Brian's Batman cufflinks, the somewhat emotional vows (Brian, I'm looking at you! ), and the OBVIOUS joy of family and friends all gathered there to celebrate Sarah and Brian! 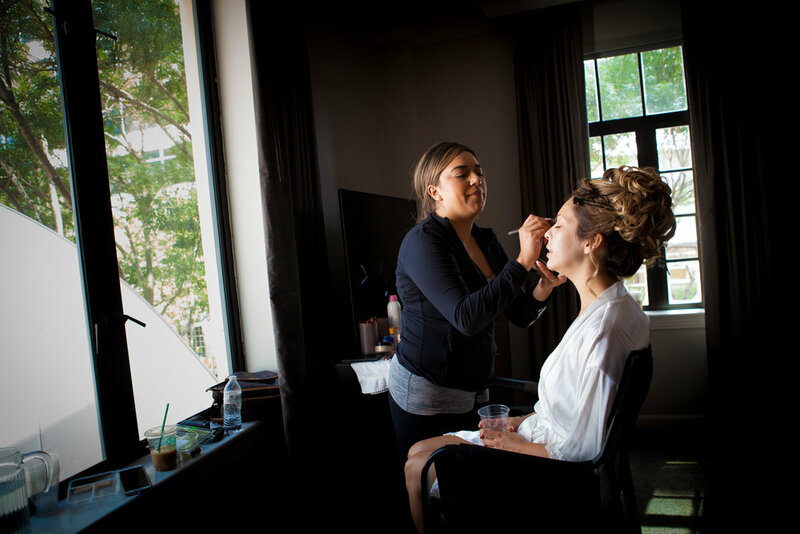 I don't know why I'm always SO stinking lucky to work with the best clients, but Sarah and Brian, you are just the best!! So fun, open, genuine, loving, and devoted to each other. Thank you for making me smile when I look at your photos!! Nicole and Landon are Married! Hellooooo Everyone out there! I am SO excited to share this blog with you all. NOW PRESENTING: the most adorable bride EVER and her classy and stylish groom! Working with Landon and Nicole was like working with two long-lost friends. 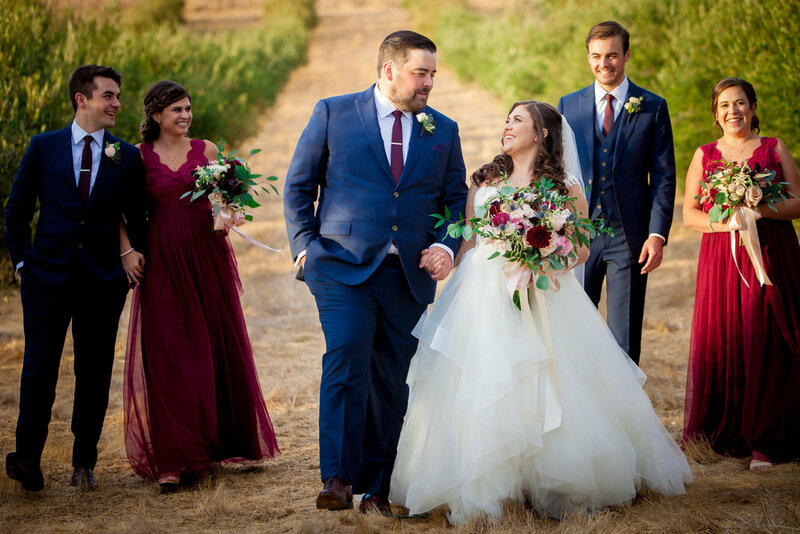 Every time we met to talk about the wedding, I felt like I had known them for years, and my excitement to be there for their special day just kept on growing and growing! Anyone who knows this couple will probably agree that they are the nicest, most generous, loving people ever. And it definitely showed on their wedding day. Some highlights for me: Nicole's two nieces, who looked ADORABLE in their little dresses...the amazing flowers that Nicole's mother prepared for the day (I should probably just admit that I'm a wedding flower ADDICT and I can't get enough!! 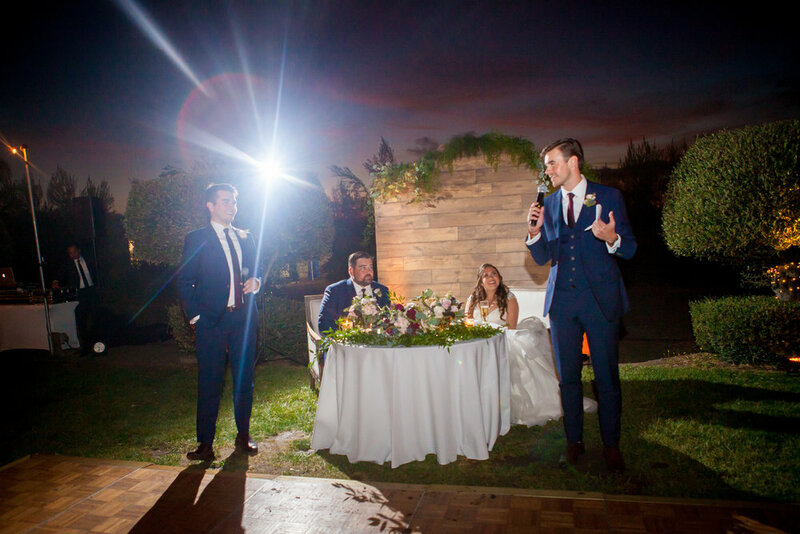 ).....finding out that Landon is super classy and STYLIN', after seeing the ties he picked out for his groomsmen, PLUS the fabulous cufflinks he had on (see below)....and you really can't beat that view at Clos La Chance Winery!! The whole day was picturesque, beautiful, fun, wonderful....I just loved every second of it. Nicole and Landon, you guys are SPECIAL, and I can't wait to see what life has in store for you! CONGRATULATIONS!!! Congrats again, Nicole and Landon!!! Ryan and Rachel are Married! Hello out there!! 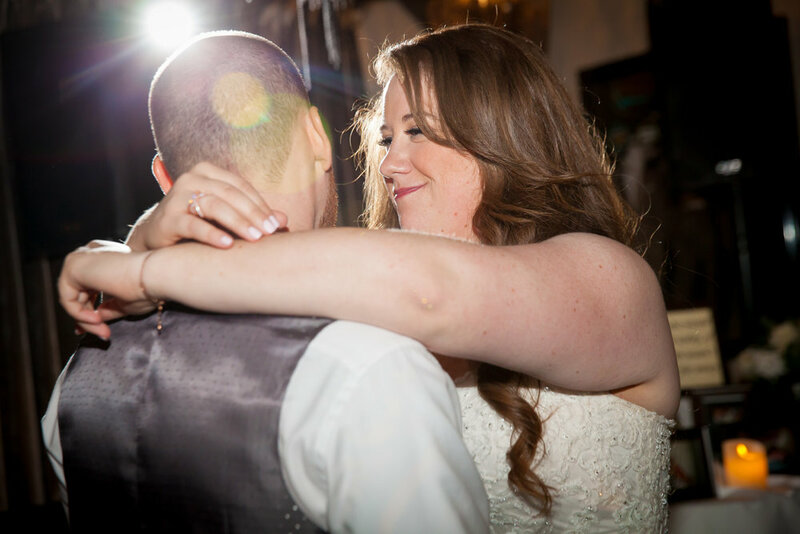 Welcome to Ryan and Rachel's FABULOUS Saratoga Springs wedding! 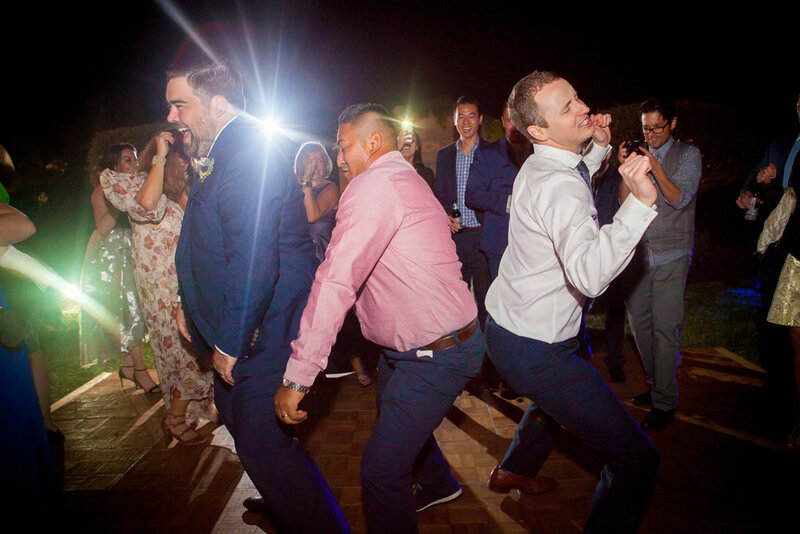 Where there are bright sunflowers, unique jewelry, a wonderfully fun bridal party, amazing atmosphere, and crazy dancing! #1 - RACHEL WORE A NECKLACE THAT HAD KLINGON WRITING ON IT. I asked her what it meant, and I believe she said it meant "Success" in Klingon. RACHEL. You are my hero. #2 - The bright sunflowers everywhere!! I seriously loved the flowers, they were all different, unique, and beautiful. #5 - Rachel played a song for Ryan during the ceremony that she had been practicing as a surprise. It. Was. Awesome. #6 - There were little quotes and pictures decorating the tables at the reception! THERE WAS A GANDALF QUOTE. I pretty much nerded out and took WAY too many pictures of that one quote...which you can see below. #7 - Rachel's Mother had the most moving toast to give. It brought me to tears...and then she had me totally laughing the next minute!! Needless to say, I wanted to be her best friend after it. Rachel, your mom is the best! #9 - Ryan was supposed to break a glass after the ceremony...but they had forgotten to bring it!! So, they might or might not have taken a glass from one of the reception tables...hey, you gotta do what you gotta do, right?? #10 - These two obviously LOVE each other so much, and are super excited for their lives together!!! 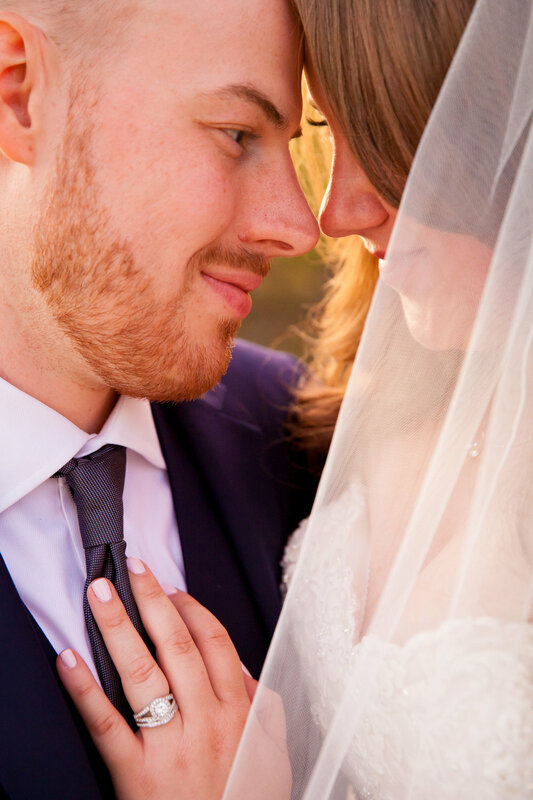 Rachel and Ryan, thanks again for having me capture your day. You guys are awesome!! Keep on embracing your nerdy side, I LOVE IT!!! !